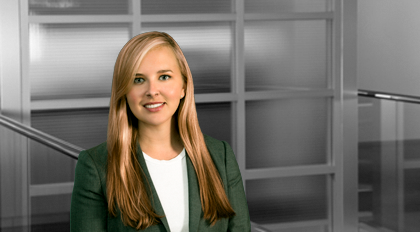 Jessica Simpson concentrates her practice in the areas of corporate contracts, mergers and acquisitions, healthcare law, and commercial real estate transactions. Jessica works with hospitals, health systems, and physician practices regarding acquisitions and joint ventures, physician contracts, regulatory compliance and corporate governance matters, and applications for tax-exempt status. She also regularly represents individual physicians in negotiating employment agreements. Additionally, Jessica represents companies in mergers and acquisitions and general corporate and contractual matters, including preparing and reviewing purchase agreements and associated documentation, negotiating vendor contracts, and preparing formational and governance documents for corporate entities. Jessica’s real estate practice focuses on managing closings for commercial real estate transactions and financing arrangements. A Charleston native, she obtained her J.D. in 2013 from the University of Virginia School of Law, where she was Articles Editor of the Virginia Law and Business Review, and her B.A. with a double major in Business Administration and Politics from Washington and Lee University in 2010.